Why should I have to hire a health advocate, isn’t that what my doctor is for? Ideally, yes. But today’s doctors simply aren’t allowed the time or resources to provide the support they once did. Combine that with an increasingly complex medical system and the need for professional health advocates becomes apparent. Will my doctor be angry, if you come with me to my appointment? No. Done properly, patient advocacy is helpful to your doctor, too. We are not there to second-guess your doctor. We are there to improve the lines of communication. Thus, making the visit easier for you, your family and your physician. Is Pacific Coast Health Advocacy a non-profit? No. We are professional health advocates and a privately owned company. We work for you. Yes, and then some. A patient advocate typically helps people during an illness. We help before, during, and after illness. We also help clients, ill or healthy; with things like health-related research, creating a living will/advanced care directive. Can I engage you on behalf of my friend or relative? Certainly. We often work with patients and/or elderly people whose loved ones live far away or are otherwise prevented from taking care of their relative or friend in person. Can I engage you if I don’t live in the Bay Area? We provide in person services; such as accompanying you to physician’s appointments or treatment, only to residents in the San Francisco Bay Area. For many other issues; we can work with you at a distance. Some ways in which we can help include: researching treatment options, obtaining second opinion, locating a major treatment center for your condition or creating an end of life plan. 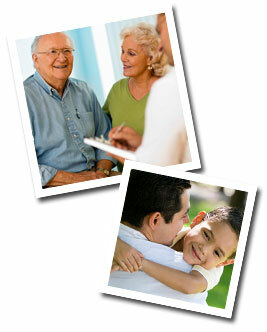 We can help find assisted living, long-term care, and local eldercare support services. We can be your on-point person and center of communication during a prolonged illness. This and much more. To talk through the options, give us a call. Will my insurance company drop me or raise my premium if I engage you? Absolutely not. First of all, that would be illegal. Secondly, we have experience interacting with insurance companies; taking an approach that encourages an excellent working relationship. We begin with a letter of agreement about the services we’ll provide for your personal situation. You can engage us on an hourly basis or on a short, medium, or long-term retainer, depending on your situation and the level of support you need.